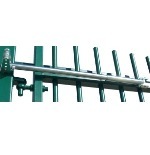 Works on Fence Posts 2" - 2 7/8"
Lockey Hydraulic Gate Closer TB200 Stainless Steel Is An Economical And Reliable Automatic Gate Closer For Use With Gates Up To 125 LBS And 52" Wide. 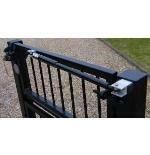 Lockey Hydraulic Gate Closer TB400 Is An Economical And Reliable Automatic Gate Closer. For Use With Gates Up To 175 LBS And 64" Wide. Lockey Hydraulic Gate Closer TB400 Stainless Steel Is An Economical And Reliable Automatic Gate Closer. 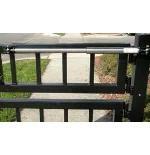 For Use With Gates Up To 175 LBS And 64" Wide.